E3 2015 - Dishonored 2 OFFICIALLY revealed with trailer - Use a Potion! It has finally been officially confirmed that Arkane Studios are bringing Dishonored 2 to Playstation 4, Xbox One and PC. “Reprise your role as a supernatural assassin in Dishonored 2, the highly anticipated follow up to Arkane Studios’ 2012 Game of the Year! 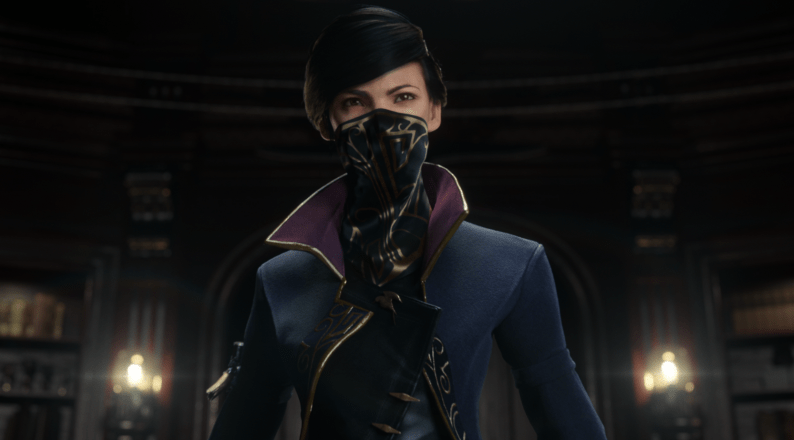 Explore a world unlike any other as either Emily Kaldwin or Corvo Attano – both powerful assassins with their own unique set of supernatural abilities, weapons and unusual gadgets. Define your own playstyle by blending immersive first-person action, assassination, stealth, mobility and the game’s brutal combat system. Combine the tools at your disposal to creatively eliminate your enemies whether you choose to pursue them unseen or ruthlessly attack head on with weapons drawn. Show no mercy and leave chaos in your wake or find a more subtle way to eliminate your targets. More than ever the choices you make will determine the outcome of each mission, and ultimately the game. The trailer was looking sweet – can’t wait to see more of the game.